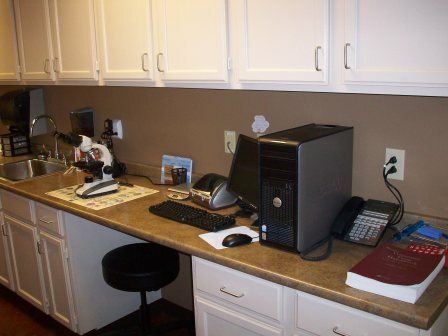 Our clinic is designed to be efficient and functional, but most of all aesthetically pleasing. 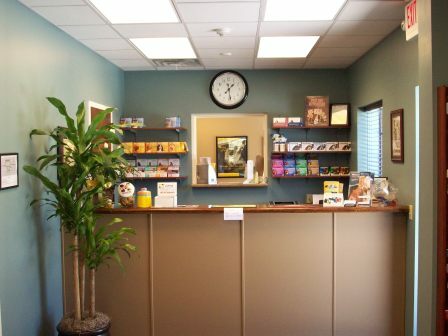 Our reception desk is at the center of clinic with a clear view of the waiting area. 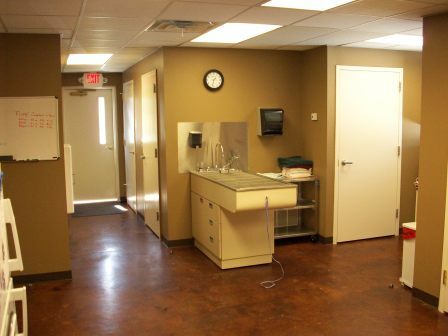 You will notice stained concrete floors throughout our clinic that give a home-like feel. 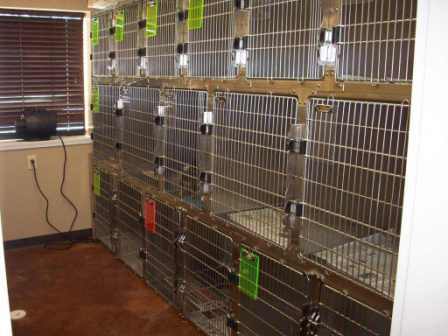 Ample room in the waiting area provides plenty of space for your pet and other waiting clients. 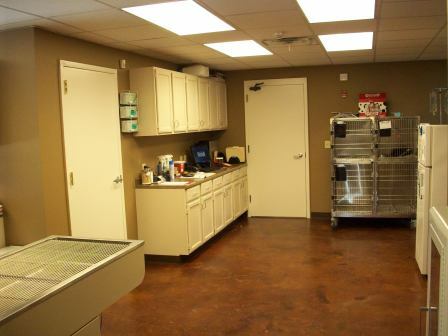 In the rear of our waiting area are retail products that we recommend as well as our Hill's Science Diet Pet Food. 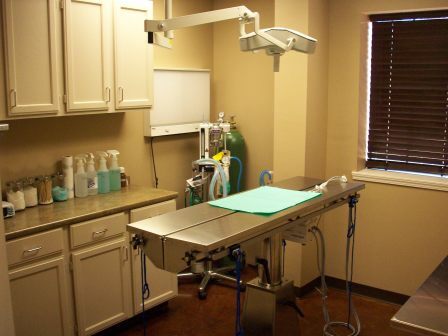 The exam rooms provide ample room for pets, children, and staff. 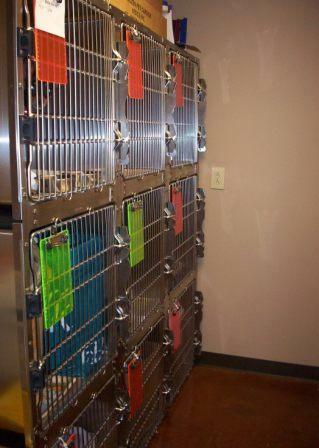 We have a fully stocked pharmacy to fill your pet's prescription needs. 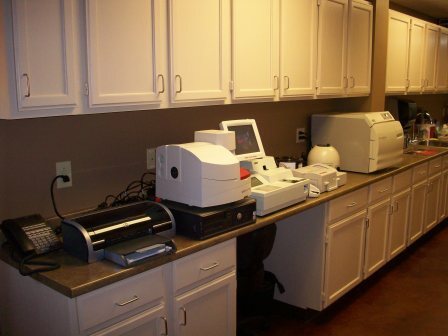 Our in-house diagnostic laboratory is state-of-the-art, giving us the ability to have test results in 10-30 minutes. 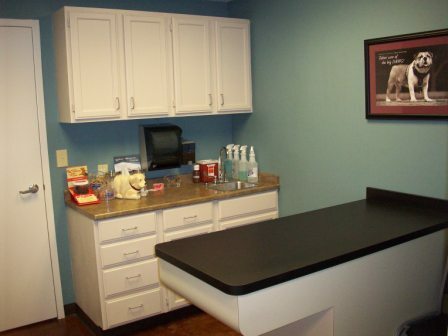 A large treatment area,centrally located, provides efficient in-patient examinations and treatments for your pet. Computerized ECG and pulse oximetry aid the technician as she safely monitors your pet's isoflurane gas anesthesia. A heated water pad keep's your pet warm during his/her sterile surgical procedure. 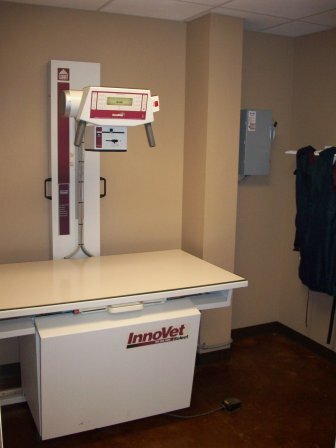 Computerized radiology equipment allows the technician and veterinarian to efficiently take and develop x-rays of your pet. 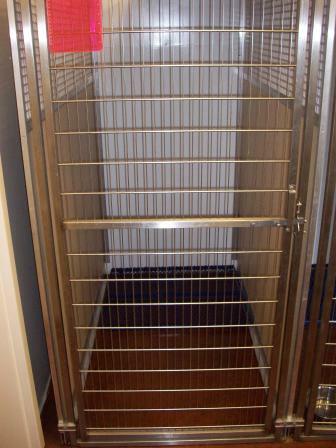 Numerous cages and runs of various sizes ensure room for your pet to board or just stay for the day, should the need arise. 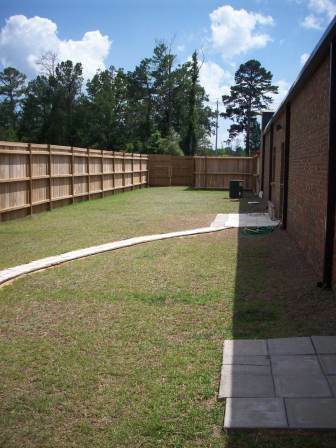 A large, fenced-in, outdoor excercise yard for potty breaks and playtime keeps your pet happy and safe during his/her stay. 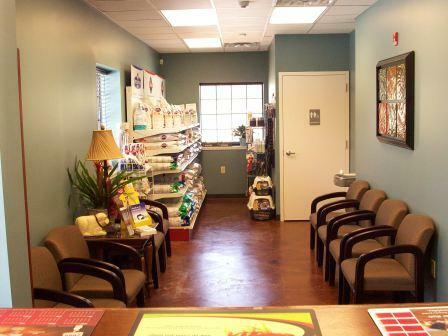 Come visit us today and let us provide the best for your pet in veterinary care and service.